There's a huge gap in traditional fast food. You could have fast, affordable or fresh food, but never all at the same time. Our sole driving motivation is to fill that gap - to make fast food healthy and delicious! We want every bite of fast food to be better than its always been. Because you deserve great tasting and good-for-you meals with convenience and service! In 2014, tired of corporate careers that left them stuck behind desks eating fattening fast-food, Ryan and Leena Rommann decided to change things up. They quit their cushy jobs and opened up the first MiSo in Olympia, Washington with the aim of changing fast food. Before founding MiSo, Ryan and Leena had careers in finance and consulting. Leena previously held management positions at Goldman Sachs, IBM, Standard Chartered and GE Capital. Ryan was a Peace Corps voluteer in Mongolia from 2009 to 2011. He served senior consulting positions at IBM, The Asia Group, and Healy Consultants in Singapore. He holds a Masters Degree from Syracuse University. His writing and interviews have appeared in Forbes, The Guardian, and numerous other international business journals. 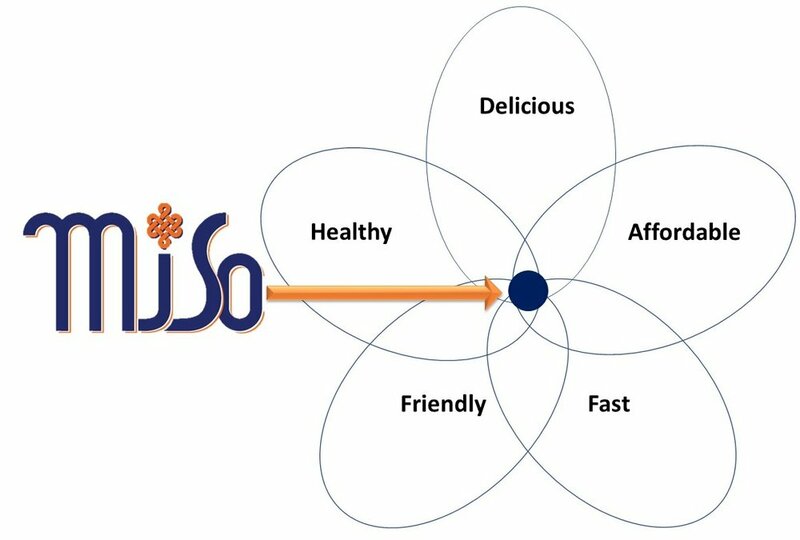 MiSo brings a love of life, food, and family to each bite of MiSo and the guest experience. MiSo was born out of joy and hopes to share that with everyone!